Hey everyone! Happy Wednesday, how are you all doing? I’m doing fantastic. You’re going to love today’s DIY project. Have you ever thought of making shirts with Freezer paper? I know it sounds a bit crazy, but in today’s video tutorial for Sizzix I’m going to teach you just how to do that. I’m using my Eclips2 and creating these awesome shirts. It was really easy and know anyone can do it. Really great tutorial – will be trying this one out. Thank you. Keep up the good work Tanner…..
Good job Tanner! Great idea but I don’t own a Sizzix. That’s fine! You can always trace a image onto Freezer paper and cut it out with a craft knife. But, having a Eclips2 takes away all the work and I highly recommend it. I really love this idea! 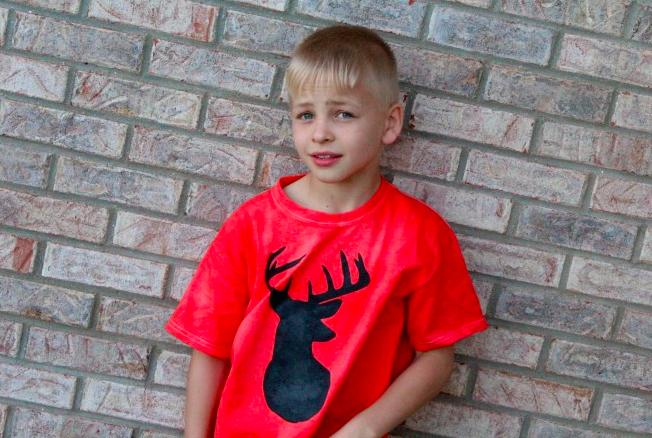 My son is 7 and I have been looking for school approprate clothing for him for the up coming year. He likes a little style and I like a friendly budget. This idea combines both as well as creativity. I will be making several of these on polo shirts for school this year. Do you have any other suggestions for boys clothing ages 6-9? Awesome craft and a great presenter. What a talented and charismatic young man! See you on HGTV or the DIY channel some day, Tanner! Rachel, I think you just made my day! I’m glad you enjoyed it. Great job!! Such a simple idea..I can’t wait to try it!! follow !! Great job young man. Good luck to you in the future, you’ve got what it takes !! Thank You !! Enjoyed watching his presentation, I’m going to consider buying a Sizzix!